I loved visiting seven castles in Scotland, but one of my favorite sights was a Highland cow grazing in a Highland pasture. Oh, sure, you think, a cow??? Hey, I love longhorn steer also! They’re just unusual enough to be nice and interesting. One of the things I found so remarkable about the Highland cows, besides the long shaggy fur coats, are that their faces are shorter than American cows. With wolves–Arctic wolves are different from their gray timber wolf cousins–not just in coat color. They’re all gray wolves, but Arctic wolves have shorter legs and ears–because of the cold. So is it the same with the Highland cow? Their faces are shorter because of the cold? In any event, they’re just darned cute. And look at what my friend brought me from Scotland!!! Thanks, Vonda Sinclair, for thinking of me~! I love him. 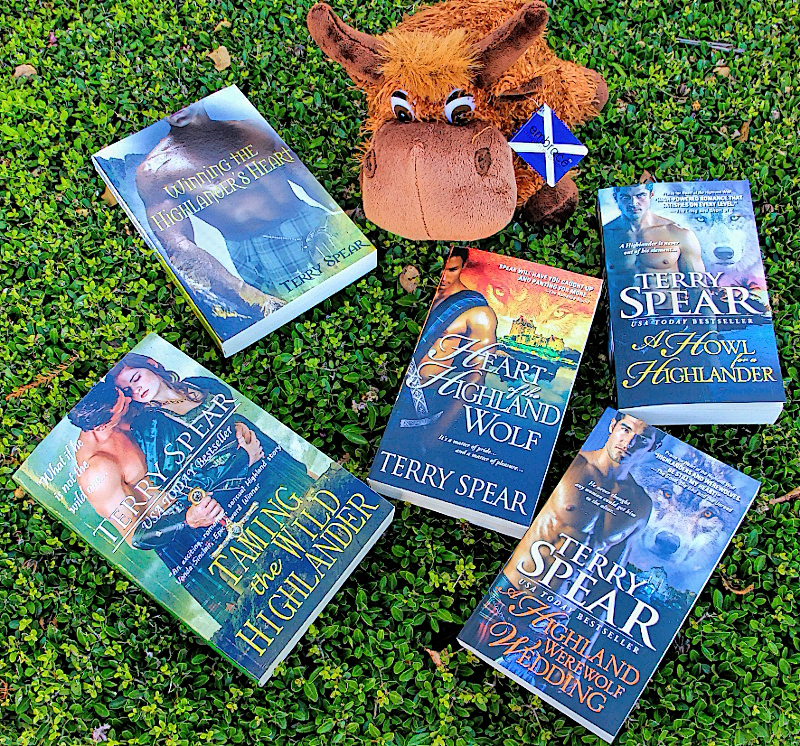 She writes Highland historical romances also. ← Feeling a Little Blue? Thanks on SEAL Wolf Christmas! Can’t believe it’s almost here. Just weeks now! they are so cute!!! love them!! Thanks, Jennifer!!! 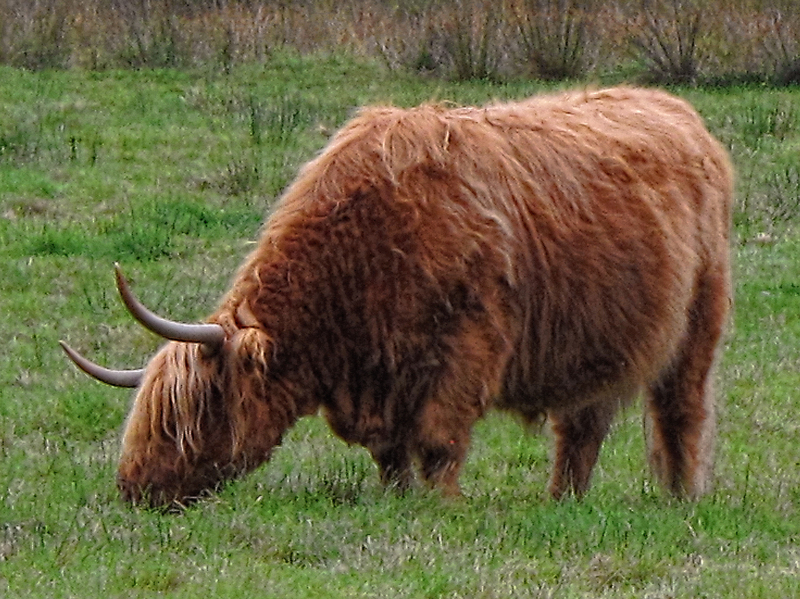 Now, when I mention a Highland cow in my books, you can visualize this shaggy guy with banks! Bangs, not banks. Where is my spell check when I need it??? He is like the best cow ever!